Dana D. Nelson: Trump doesn't abuse executive power any more than Democrats do. That's the problem. Dana D. Nelson Trump doesn't abuse executive power any more than Democrats do. That's the problem. We want our party's president to have more authority. We just complain when the other side's guy gets it too. President Trump sings a different tune, racking up 55 in his first year in office, 16 more than President Obama in his first year (and more than, indeed, any of his years) in office. Many liberals have derided Trump’s hypocrisy, lambasting the president along with Republicans who spent years denouncing Obama’s “imperial presidency” and who now find ways to justify and celebrate their president’s unilateralism. But if you worry about President Trump’s apparent fondness for executive orders, you’ll be surprised by the historical record, where the trend has in fact been steeply downward since the mid-twentieth-century. President Franklin Roosevelt’s first year in office, with an eye-popping 573 executive orders actually makes Donald Trump look like a piker. And keep looking: Harry Truman issued 139; Dwight Eisenhower issued 80; John F. Kennedy issued 70. Even Lyndon Johnson issued more than our 45th president in his first year — by one anyway, with 56. From this deeper historical perspective, you might legitimately wonder: what’s all the fuss about? There should be a fuss — but not about executive orders, which must be recorded in the Federal Register and thereby made publicly visible. Presidents today issue far fewer executive orders than their early- to mid-twentieth-century counterparts, but not because they are less interested in unilateral powers. Rather, they’ve discovered ways to maneuver unilaterally below the radar of the public and even of others in government. Executive powers unbalance our democratic constitutional design by bypassing Congress, which the Framers denominated the “first” and the “democratic” branch. Congress created a classification scheme for recording and publishing executive orders during FDR’s presidency. Subsequent presidents bypassed these requirements by calling their orders anything but “executive orders,” hence the rise of alt-orders: memos, determinations, findings, directives. Presidential legislation-by-decree is not well understood by the public, let alone by those who work in government. The ability to issue them comes through what political scientists describe as executive “power tools,” an array of resources that allow presidents to enact foreign and domestic policy without aid, interference or consent from the legislative branch. 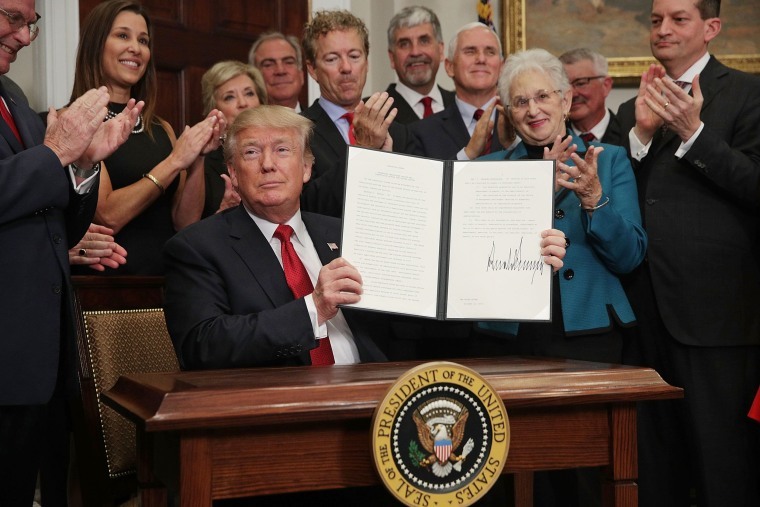 Presidents — every single one, regardless of party affiliation — have appreciated and grown executive powers, despite having often denounced them in their run-up to office. So we can’t actually blame candidate Trump for being confused about terminology for the problem. But we should note that the perplexities that executive actions cause government and academic analysts work strategically for the exercise — and steady growth — of unilateral presidential powers. These powers unbalance our democratic constitutional design by bypassing Congress, which the Framers denominated the “first” and the “democratic” branch. Political scientist William G. Howell observed in his book, “Power without Persuasion: The Politics of Direct Presidential Action,” that unilateral strategies “represent one of the most striking and underappreciated aspects of presidential power in the modern era.” But presidents — every single one, regardless of party affiliation — have appreciated and grown these powers, despite having often denounced such powers in their run-up to office. Still, it’s hardly their fault: they are simply upholding their oath of office to protect the powers that Congress, the courts and the people have ceded to the executive branch. We want our president to have more power; we only notice — in ritual horror — when the “other guy” gets those powers, too. Executive unilateralism obviously usurps Congress’s law-making power, and it dangerously undermines democratic principles and subverts the practice of democratic rule. But we should stop blaming presidents for this: The hard truth is that partisan citizens like, support and justify executive unilateralism:. We want our president to have more power; we only notice — in ritual horror — when the “other guy” gets those powers, too. We should instead check our own hypocrisy. If we care about democracy’s promise, government of the people, by the people, for the people, we should stop triumphantly abdicating the hard work of democracy to the president for whom we voted. For the good of our democracy, one that aims to build some civic muscle, let’s all make a resolution: Start opposing executive unilateralism consistently, and force ourselves to see the wrong in and speak out against unilateral presidential actions we actually like. It won’t be easy, but it would be good for the democracy we say we treasure if we trained ourselves to exercise checks and balances especially against the powers of a president of whom we personally approve. Dana D. Nelson is a professor at Vanderbilt University and the author of four books, including "Bad For Democracy: How the Presidency Undermines the Power of the People" (U Minnesota P, 2008). She writes widely on U.S. literature, history, politics and culture, and has appeared as a guest or expert in a variety of public and national media. Dana D. Nelson is a professor at Vanderbilt University and the author of four books, including "Bad For Democracy: How the Presidency Undermines the Power of the People" (U Minnesota P, 2008). She writes widely on US literature, history, politics and culture, and has appeared as a guest or expert in a variety of public and national media.